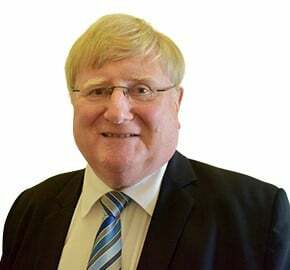 John has been a solicitor for over 40 years having qualified in 1975. The last 35 years, he has been running his own practice, firstly, in Camelford and since 1995, in Launceston. He has recently joined WBW as a private client solicitor. His particular interest is helping the elderly. Throughout the years, he has built up a very large practice of wills and probate and hopes to continue that at WBW. John is married and lives near Launceston and, between them, his wife and he have 4 children and 7 grandchildren which keeps them incredibly busy. John had the great honour of being appointed the President of the Cornwall Law Society in November 2017 and his term of office will expire soon.